Virginia Outdoor Works LLC was established in 1996. We are licensed and insured. Firewood is all seasoned OAK and available year round. We travel further than most businesses to deliver to you our well seasoned OAK split and dry firewood. Split sizes are 16" to 18" which we will either dump or stack in the area you prefer. Prices include delivery. Our other services include: Bobcat service, Grading, Lot Clearing, Hardscapes, Seed & Sod, Mulch and more. We supply firewood that is all logged and NOT the wood from tree work that is taken from customers yards or from sick trees and taken back in there as firewood. All disease free. No rotten wood. Wood is delivered in separate bins that are equal to 128 cubic feet stacked. Smaller amounts are available upon request. At this time we only accept CASH or Checks-thanks for understanding. Please give us a call or an email today to schedule a delivery. We want you to be and stay warm. 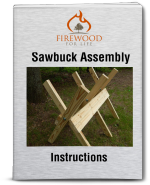 We also want you to practice safe firewood handling, storing and burning. A clean chimney is your best friend, remember to have it checked out. Thank you for your business.